Mouser Electronics is now stocking the G.hn Wave-2 networking chipset from MaxLinear, featuring the G.hn digital baseband and G.hn analog front ends. Offering physical data rates up to 2 Gbits per second (Gbps) across a variety of physical media, the Wave-2 networking G.hn processors deliver reliable connectivity and reduced congestion in smart grid, security, broadband, industrial, smart home, and automotive applications. MaxLinear’s G.hn Wave-2 networking platform offers designers the flexibility to combine footprint-compatible components to address multiple G.hn applications. 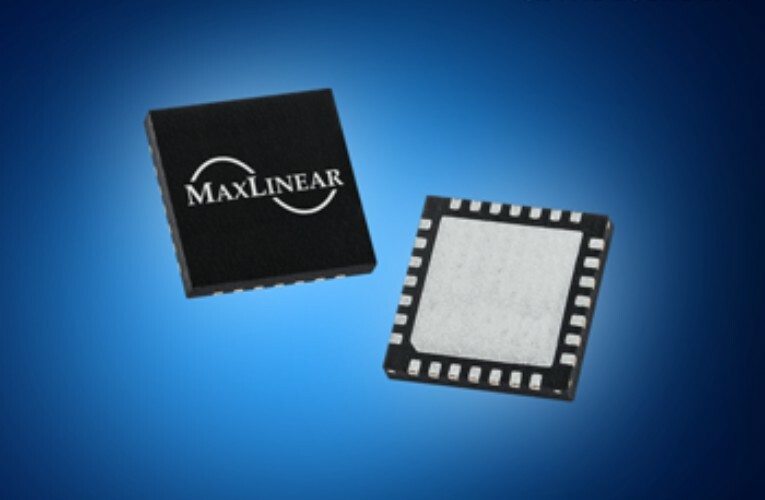 The MaxLinear G.hn digital broadband (DBB) processors provide high-speed networking solutions with 1 Gbps maximum throughput over power lines and 1.7 Gbps maximum throughput over coaxial cables and phone lines. The DBB processors feature a G.hn physical layer (PHY), G.hn datalink layer (DLL), and an embedded CPU for management and control functions. The G.hn analog front ends (AFEs) provide up to 2 Gbps physical data rates over any wired medium. Housed in a small 4 × 4 mm QFN package, the devices deliver programmable transmission and reception gains for each wired medium.